Creative wedding favors can leave a great impression on your guests, and there are lots of wonderful product ideas to consider. One of the most recent trends in selecting wedding favors has included common products with fun twists in labeling and artwork. Wedding koozies are especially fun because there is so much that can be done to customize them for thematic emphasis. Whether you are interested in koozies being in use during your reception or whether you want to include them in gift packs for your guests, you will find great colors and clip-art selections to consider if you want to use custom koozie designs during your big day. Wedding koozies are available in a rainbow of colors. If your day is centered on a color theme, you will have absolutely no trouble tracking down a koozie color that works with that theme. While an exact shade match may be challenging, the reality is that many wedding themes include variations on a color rather than a single shade. If you are developing your day theme based on purple, for example, you will find not only purple but also lavender and pink shades available in koozie construction. Popular sayings and cute expressions can be used to make the most of your day koozie design. One of the most popular choices is using black and white koozies with groom and bride printed in the opposite color. Some choose to have Mr. and Mrs. embellished on their black and white koozies. 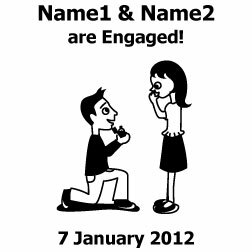 Some simply opt to print their names or initials with hearts and the date printed. Your creative thinking can facilitate the development of a selection of wedding favors perfect for your event. There has been a real trend toward nostalgic themes at modern weddings. It’s not uncommon to find fun snack stations with cotton candy or old fashioned popcorn poppers. Galvanized tubs of canned soft drinks or long-neck beer bottles are considered to be great features. Include a supply of custom wedding koozies at these stations for highlighting your color themes and fun sayings. Creative use of koozies as wedding favors is also a great way to make the most of these fun products. Koozies can make interesting and unique wraps for small plants or for bud vases. Create silk flower arrangements with your custom koozies as the holders. You can place floral foam into koozies and develop candy bouquets in these inexpensive containers as well. Koozies can serve as alternatives to goody bags, perfect for filling with candies, trinkets, pens or other popular wedding themed favor items. Set up a kids station with koozies holding bubbles, crayons or small toys and gifts. There are lots of ways to develop your theme and interests with simple products like koozies. Some may wonder whether a koozie is formal enough for a wedding, but the reality is that there is a trend toward incorporating a combination of formal and fun elements into celebrations. The use of custom koozies is perfect for developing unique decorative elements while adding a personal statement to your decor. They also work beautifully in events that precede the big day. Use custom koozies for a bridal shower or bachelor’s party. Host a rehearsal barbecue with custom drink holders for refreshments. 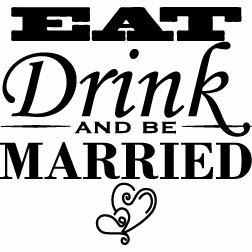 Use custom koozies at various events related to the big day.